A few years back I came across this really cool Design Competition. For what ever reason life got in the way of design. That and the fact that we’re starting the Letterpress thing. I can’t complain too much, I was able to get my “design rocks off ” in other ways. But this year when the email came about submitting, I just decided to do it. And so I did. The process started by researching what Francisco Mantecon Poster Design Competition was all about. Then a little research on the winery itself. To me part of the interest was the location of Vigo and the Winery. I’m not Spanish, but my family roots do come from northern Portugal and the Porto region. Vigo is also one of the largest fishing ports in the world which I didn’t know before this. So it was all coming together in my mind. And with a little bit of time in there, the ideas started to mix around. With some sketching the ideas then started to come out. My concept was to create a map of the Vigo region and northern Portugal. While connecting the winery to Vigo’s main industry – the fisheries. As well as incorporating the Terras Gauda logo creatively. The entire poster is a conceptual map – although subtle. At first glance the bottles of wine are just fish being caught in a net. But look a little closer and you’ll find that the netting is the shape of the Portuguese/Spanish border. The logo is the compass. And the three locations on the map are Vigo, Terras Gauda and of course Porto, which tie back to the three flourish icons in the logo. I designed something that is relevant, impactful, simple and creative. And that to me is what the design process should be about. Too often we just rush around executing designs, instead of creating design – and having fun along the way. This was also a chance to please no one but myself. A piece of design and art that meets the contest brief, or at least my interpretation of it. We inform you that your poster will be part of the exhibition of the 11th International Poster Design Competition Francisco Mantecon at Estación Marítima in Vigo (Galicia, Spain). The jury meeting will take place on Friday, November 29th. We will contact all finalists the first week on December. The jury’s decision will be announced on Friday, December 13, during the ceremony the awards. 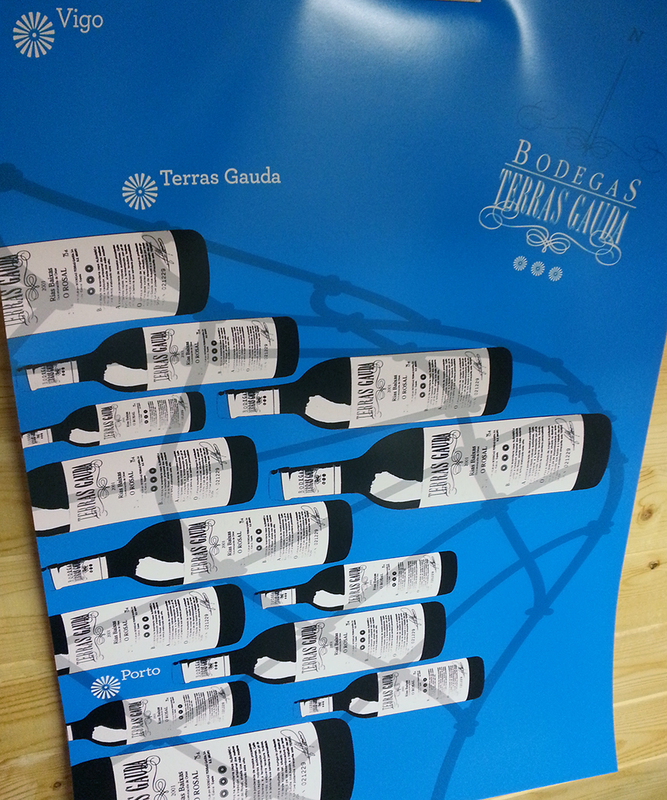 Thank you to Bodegas Terras Gauda and the 11th Francisco Mantecon International Poster Design Competition. Win, Lose or Draw – I’m happy with getting something created, entered and excepted. The process was well worth it.